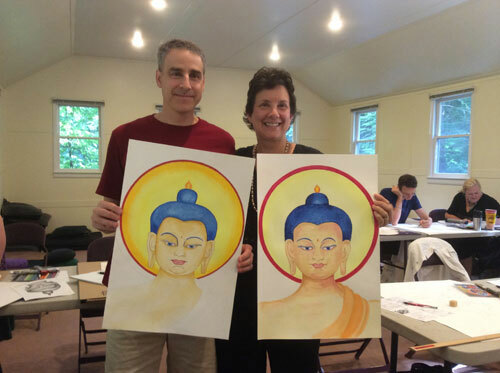 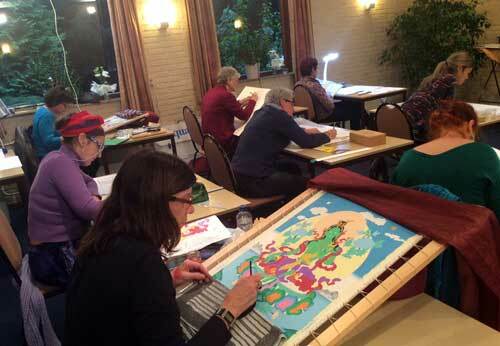 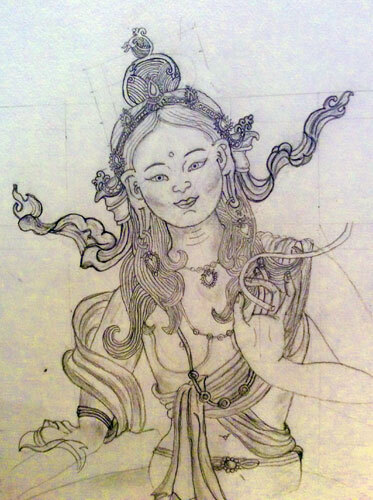 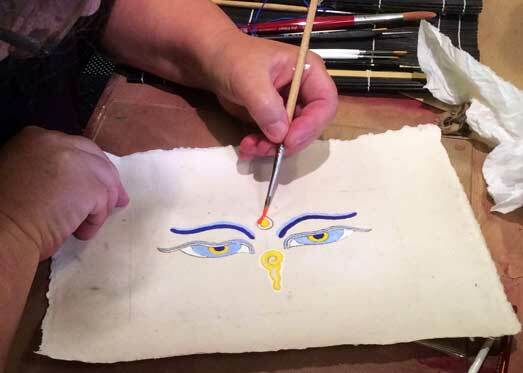 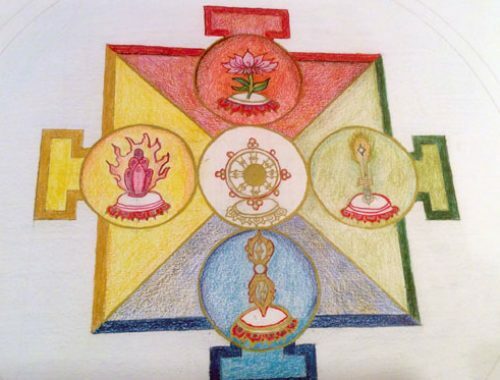 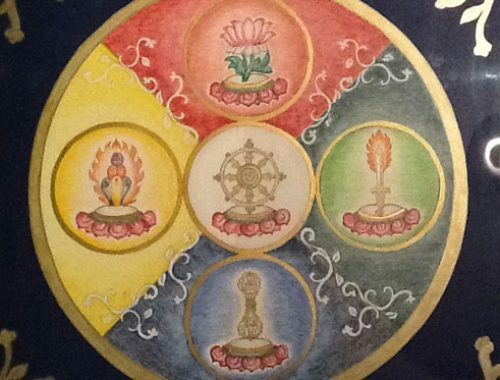 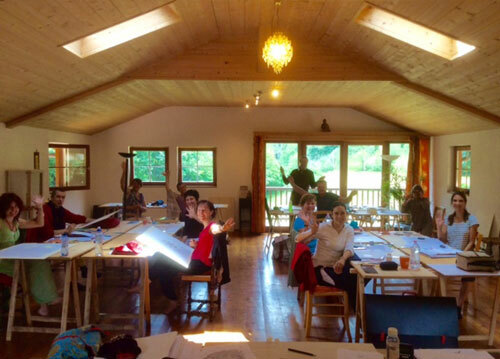 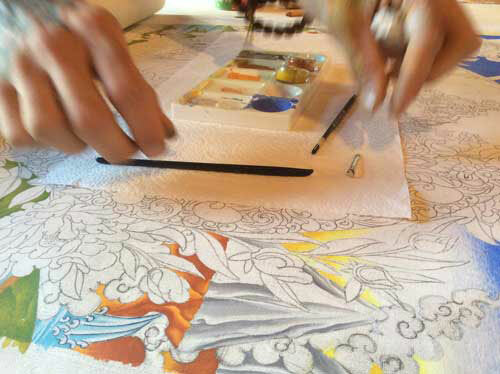 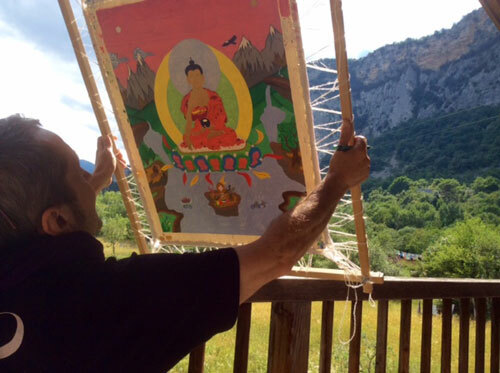 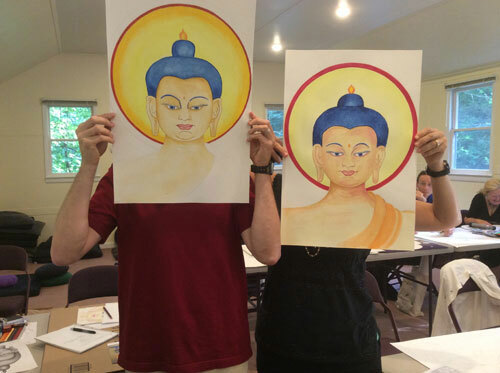 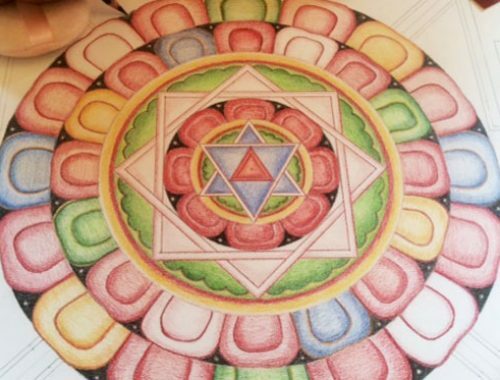 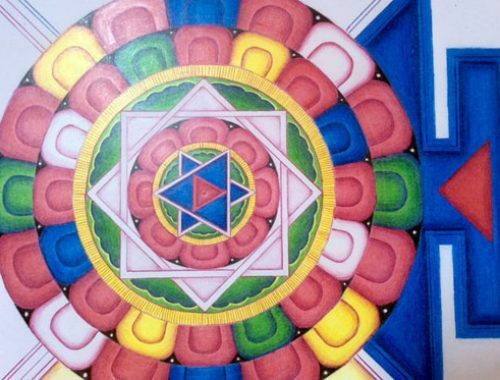 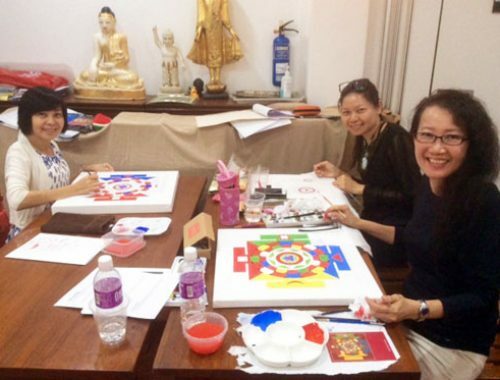 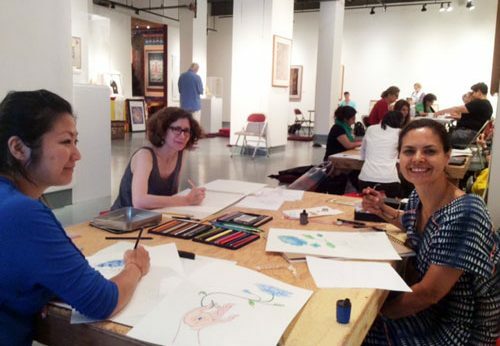 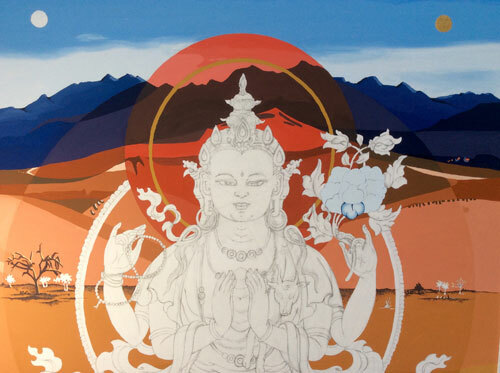 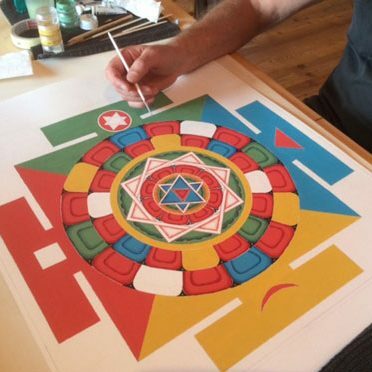 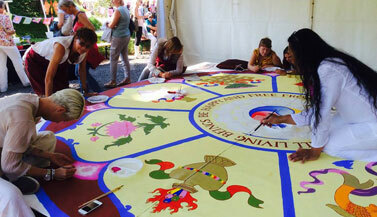 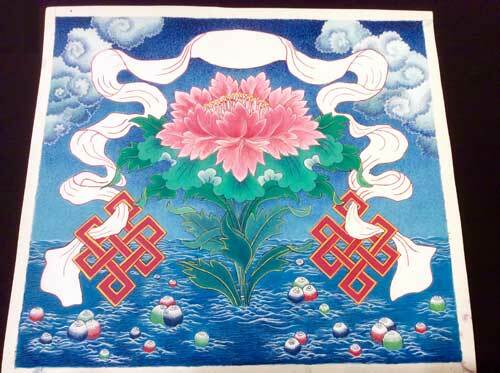 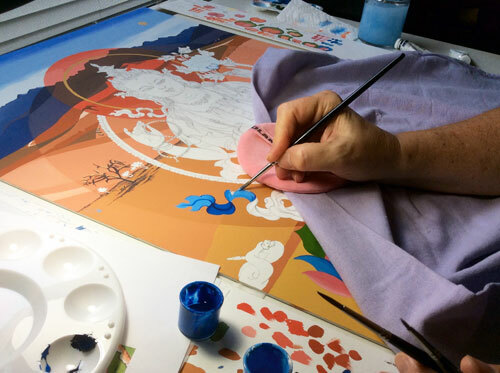 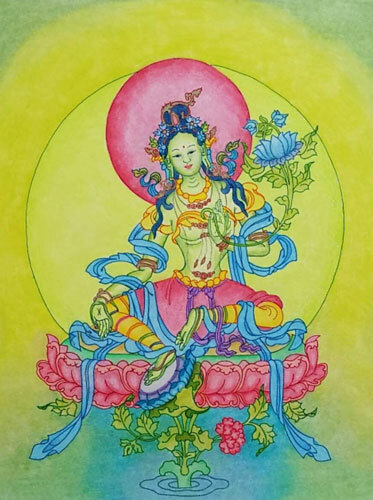 In the thangka retreat weeks there’s time to learn to work with the traditional thangka painting techniques. 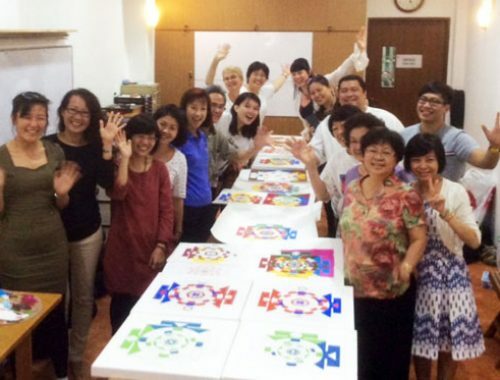 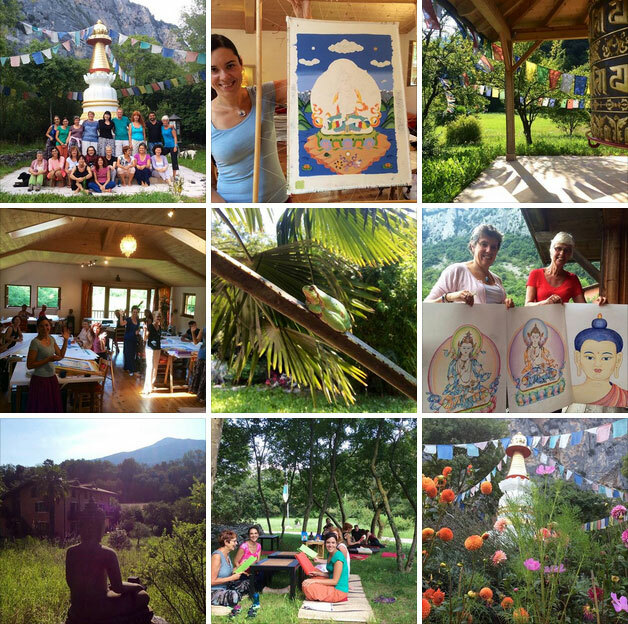 Retreat weeks are annually held in Italy, the US and in Asia. 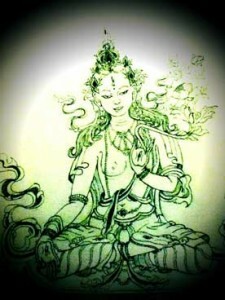 I feel gratitude to the great harmony en serenity that I experienced in the classroom and throughout the stay; gratitude to the kindness and great professionalism of Carmen; gratitude to the wonderful nature around us… the hours flew by, and step by step, despite my initial fears en insecurities (I can’t draw! 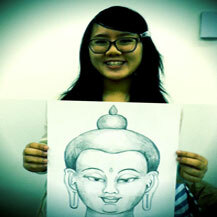 ), on my paper something amazing materialized, as well as in my heart. 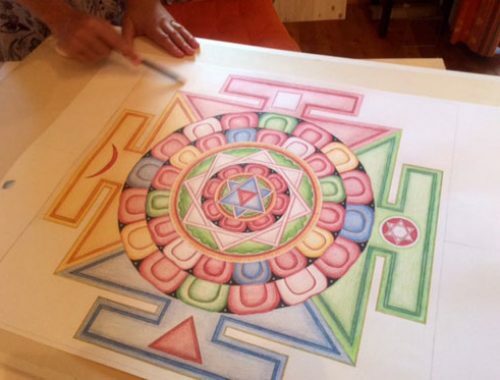 “I feel this work as a very complete and clear meditation where we can observe the mind, the sight (seeing) and our hand (as expression). 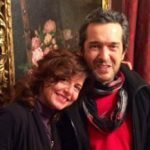 And the connection between them. 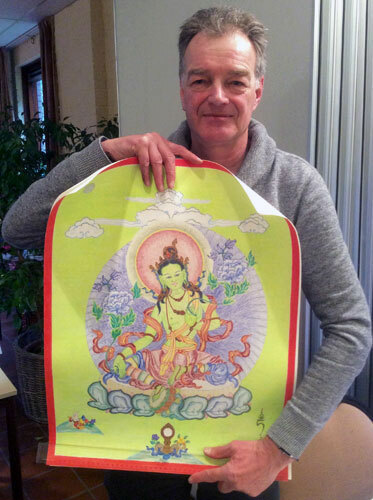 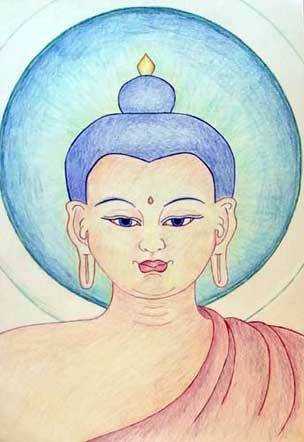 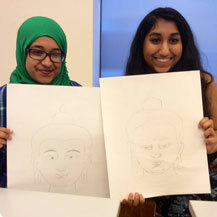 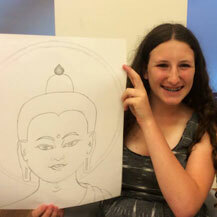 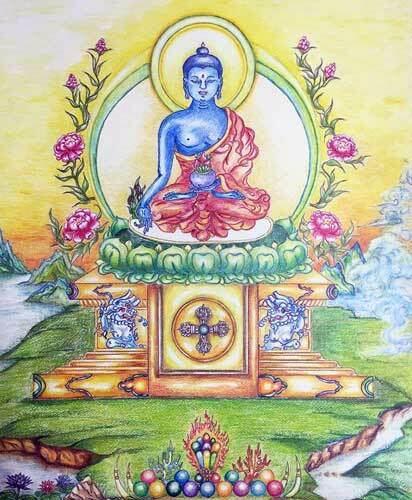 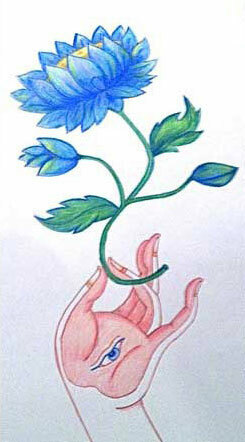 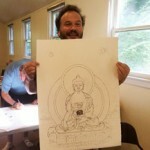 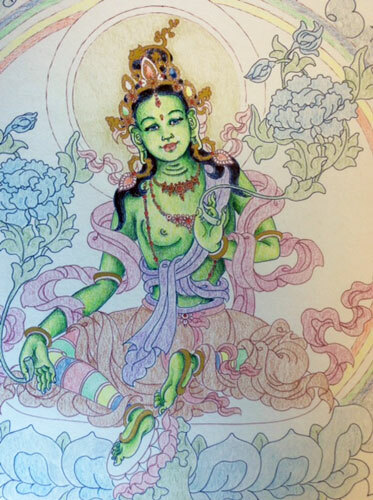 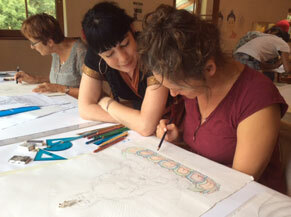 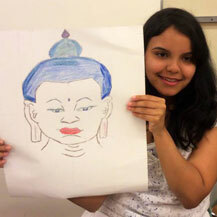 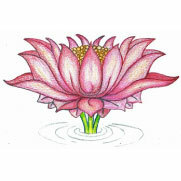 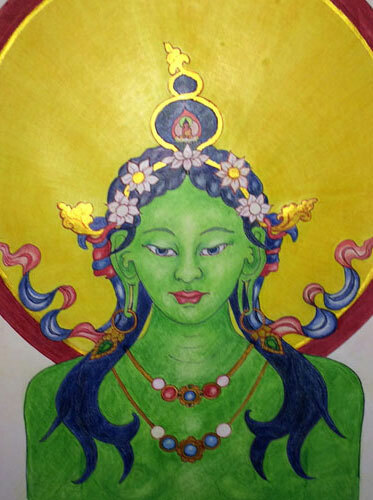 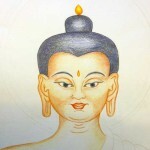 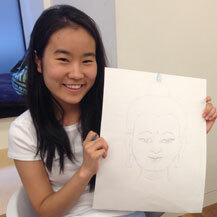 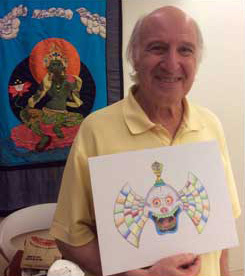 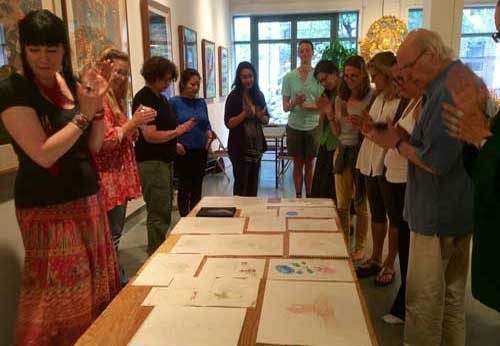 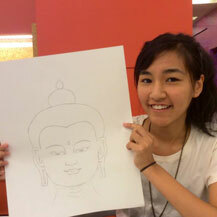 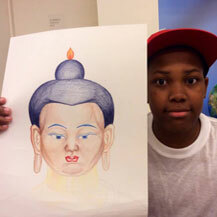 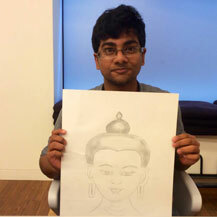 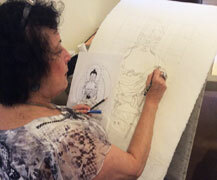 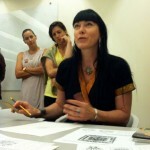 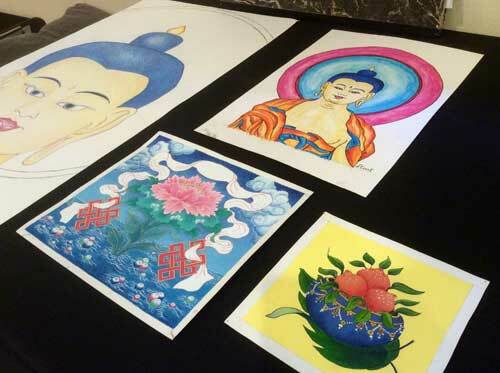 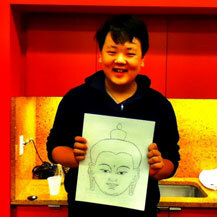 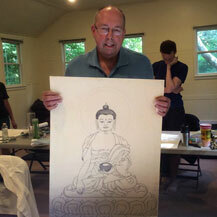 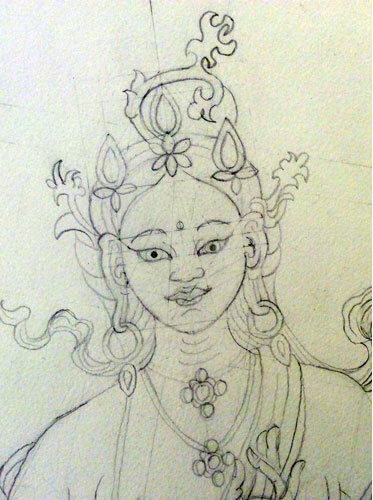 “Drawing the Buddha in such a special way touched me very deeply. 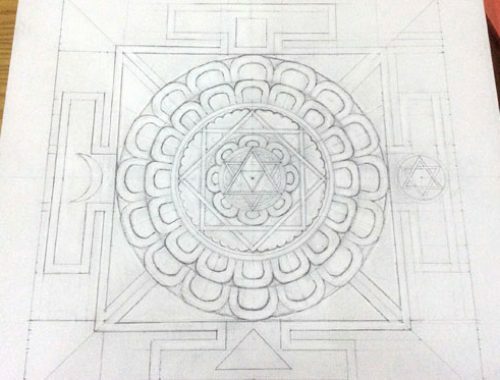 Using a very precise grid and measurements, the initial process of simply drawing lines, or connecting one point to another, involves a lot of concentration and focus and then suddenly the magic: out of the paper the Buddha emerges. 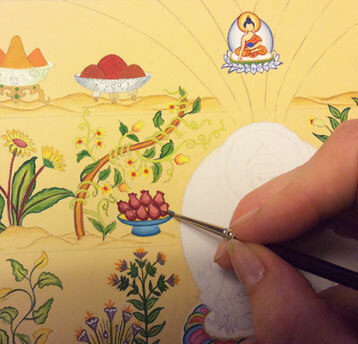 It is such a beautiful process to work in this way, and the Buddha reveals itself, almost while you are not looking. 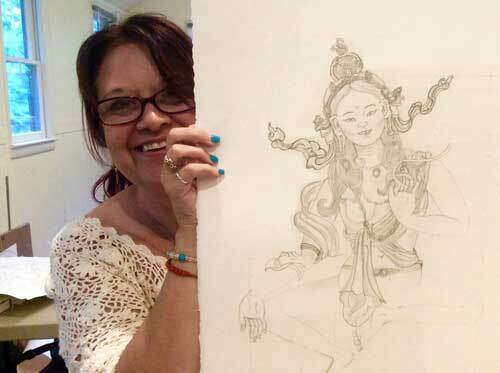 Carmen is amazing. 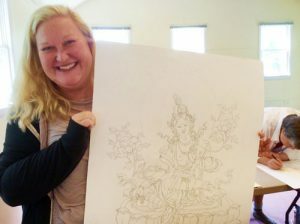 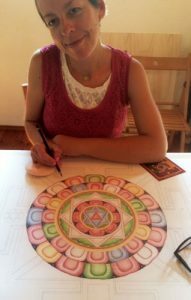 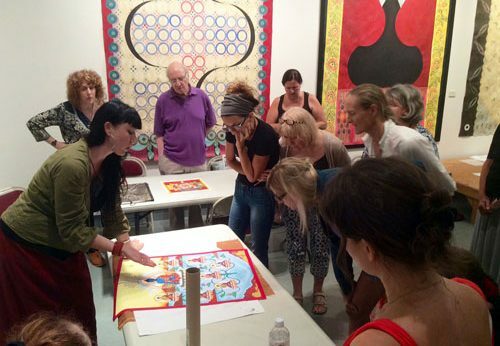 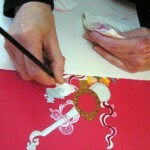 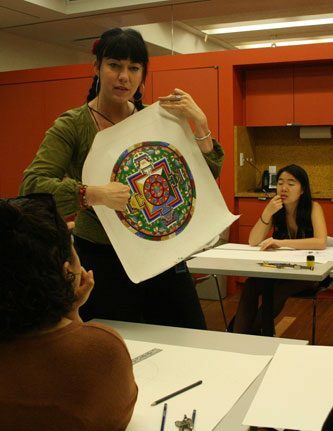 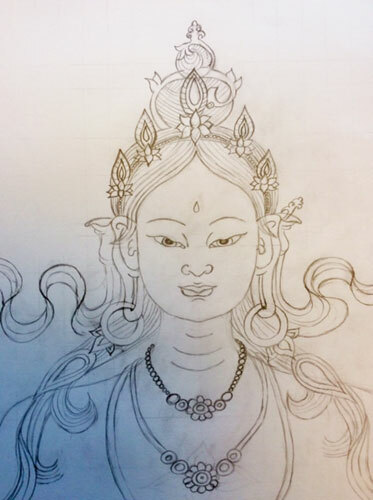 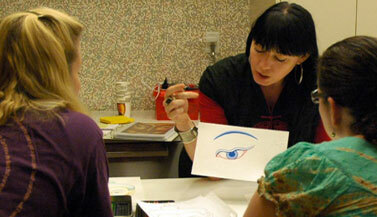 She is so completely immersed in the world of thangka painting and her love of it is so inspiring. 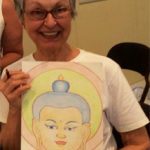 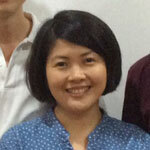 She is very generous with her time, holding the space for the morning meditation through to wonderful slideshow talks about related topics in the evening.